Way back when I started this blog I mentioned seeing a Leyland in Rotorua, some 50 years ago, which had the front windscreens going down low in the front corners. I never had a camera at the time and actually began to think that maybe it wasn't a Leyland at all. 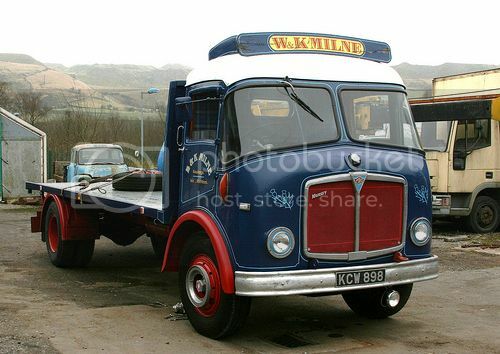 But then I saw Bill Hohepa's 2014 calendar and realised I had seen a Homalloy cabbed Leyland. 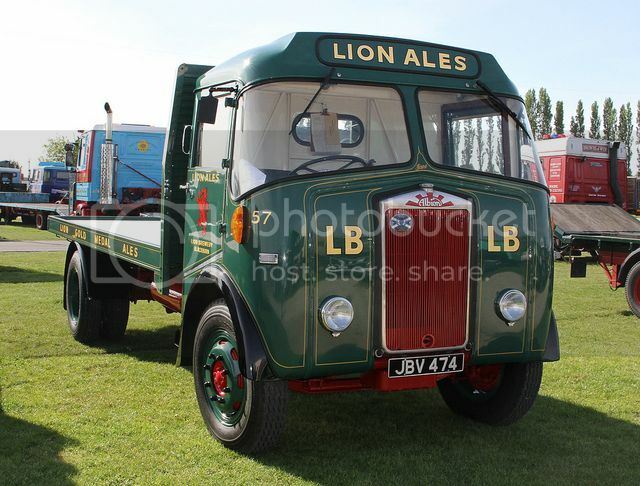 This is the Leyland on Bill's calendar and is identical to the one I remember. 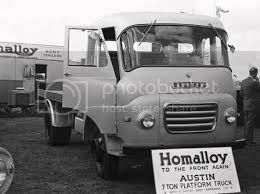 Homalloy, based in Preston, Lancashire, specialized in the manufacture of alloy truck bodies, but also built alloy and fibre glass cabs for many truck makers. 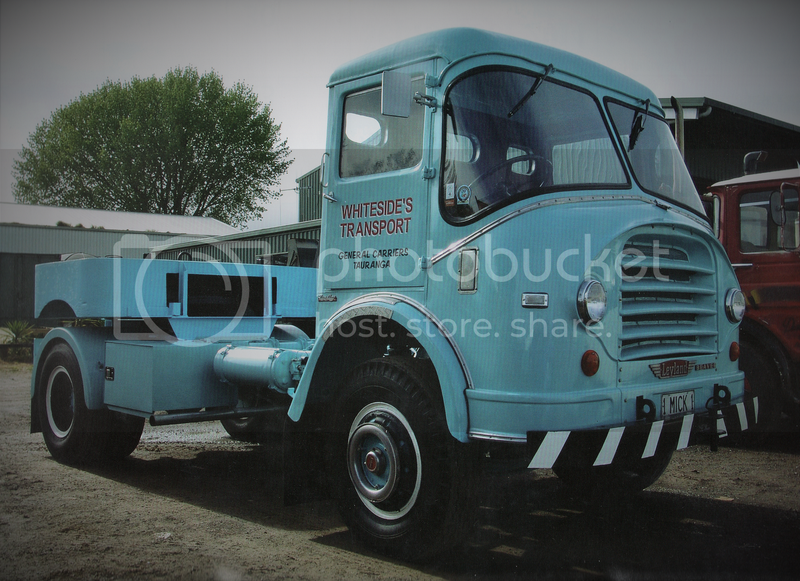 Here is one on an AEC, still with those characteristic down-turned windscreen corners.